Is LinkedIn the Best Social Network? Why should you let your résumé limit in two A4 sheets, when digital world is expanding minute-by-minute, offering many features? LinkedIn is the best solution for the ‘How-to’ question, arising in your mind! We have seen many people in famous social networks such as Facebook, striving for jobs but never checking out this awesome solution in front of them. Here, we would like to give you brief and comprehensive idea about LinkedIn and why you, as a professional or a student, who has the ultimate desire to become a successful professional, should use it. We are sure that you can get the advantage from this portal if you can spend at least 15 minutes in this professional social network a day. First, we should build an introduction about LinkedIn and the way it works. Later, we will conclude whether it is the best social network. As we mentioned earlier, LinkedIn is an established social network for professionals from any corner of globe. LinkedIn started its journey in 2002. According to the statistics of June 2013, LinkedIn has more than 225 million users, who hail from 200+ countries of globe. Without any doubt, LinkedIn is a rapidly growing social networking platform for professional occupants, who would like to extend their identity to the global corporate world. This website offers free membership for all users. Albeit the above fact, there is a premium version in LinkedIn, which offers further features. Now, we will have a look to professional features of LinkedIn. Here, we will list out noticeable features of LinkedIn, which a professional should make use of. All these features have support by various apps of LinkedIn, available for most of major platforms. Connections are the ways to connect with your acquaintance, familiar people from your industry, or your friends in LinkedIn. You can visit the profile of the person and send an invitation to connect with you. Rest of the story is just like all other social networks, which means invitation blocking, ignoring etc are also present in LinkedIn. This feature has several advantages than you expect. These connections can help you while you want to introduce yourself to others, if there have some mutual connections between you and him/her. You can upload your fully-fledged resume to the website, comprising all your info such as showcase of your work, education details, contact details etc. This résumé is visible for all members, in your connections as well as public. You can upload identification details such as photos. You can follow official accounts of popular companies in your desired industry, as you can get notifications about job openings, urgent vacancies etc. You can keep touch with hiring managers, by means of mutual connections. Using your LinkedIn account, you can join various LinkedIn groups according to your interest. Most of these groups are related to employment, which covers career related issue along with other details. Just like Facebook groups, it has administration features as well. Content in these groups will be either public or visible to the members only. If you would like to join one company, you can do a bit research using LinkedIn via official account of the company, where several details such as positions, location details, job listings etc. are present. Through the Job Listing feature and its ‘Apply with LinkedIn’ button, you can find and apply for available jobs. Just as you display your work positions and organizations, you can also exhibit your talents and level of expertise, using the feature ‘Skills’. In the section Skill, you can mention your abilities whereas your visitors can endorse for those skills. This is a useful feature unless you have not given faulty info about your talents. At least some of you might have influence from not only giants but also normal people from your industry. In LinkedIn, you can you can add people as your influencers. It simply resembles the follow button in Twitter. Just as you do in Facebook, you can share status updates in LinkedIn, which will be visible for all your members in connections. You can do integration with Twitter. At the same time, you can get information from others’ updates too. We hope that the reasons, mentioned above, are enough impressive to attract any professional job-seeking personality, who has basic idea about the wide influence of internet and how trending companies are making use of internet and applied services. Here, we have listed out some pros of LinkedIn. Joining LinkedIn and giving all your information about education, work and skills, in turn gives you a digitally prepared Curriculum Vitae, available worldwide. Hence, when companies and human resource managers try to get talented job seekers, you get listed very quickly. The process is much simple as you can set up your LinkedIn profile in minutes and let others know about you. It is also advised to keep connections with famous identities in your desired field as well as keeping yourself in touch with official pages of desired companies so that you can know more about job openings, vacancies, etc as they happen. Hence, the connections feature in LinkedIn can help you in getting hired, without the complexities of mailing resumes, only if you have an attractive LinkedIn profile. LinkedIn is not only useful for individuals but for Businesses as well. As you can guess, adding your company or business (virtual or not) to LinkedIn can gift you a truly professional look, especially when someone searches for you. In case if you can use your strategies, LinkedIn can help you in profiting from your business either. As LinkedIn is having a good Google PageRank, all your listings will be present on the first page of Google Results, which is quite useful, indeed. No matter the industry, where you are working, people requires up-to-date knowledge nowadays, especially if the job makes use of your presentation and communication skills. Hence, as a professional, it is your duty to keep yourself updated to the happenings in your industry. LinkedIn is a best tool you can get for the mentioned purpose. Analyzing what we said above, it is quite clear that LinkedIn has enough reasons to become to get listed on one of best Social Networks, especially network of ambitious and successful people. Thus, it is a good decision to join LinkedIn and engaging in your career-related activities rather than scowling through your Facebook News Feed. Therefore, we can conclude that LinkedIn is the BEST SOCIAL NETWORK for PROFESSIONALS, who are ambitious in their life. Vivek LinkedIn is worth try website as Quora, it is one of the famous website. Rajesh, yes Linkedin is the best professional network for every Corporate or Self Employee. There are many advantages we can meet many professionals & our friends will be in contact always, Friends will get updates on our job changes, Qualification updates or any certifications. There are many groups related to our job profile helps to get latest updates and participate in the discussion. Yeah, LinkedIn is very useful for every Corporate or Self Employee. Thanks for sharing your views here. Hard to believe that there are people who did not know of the existence of LinkedIn. It’s true, there are some people who didn’t know about LinkedIn and it’s importance. You can use LinkedIn as a free and there are memberships also, it’s a very good website to search jobs, it is useful website for professional people. I totally do agree with you. LinkedIn is the best social network for those who want to grow in their business as soon as possible. I have heard many things about LinkedIn Affiliate Programs for money earning. Could you please explain something about this? We’ve not used their program sorry. Try searching on Google. linkedin is very strong social network for professionals but some people don’t understand the value of this network i use this network and got good results for my business. 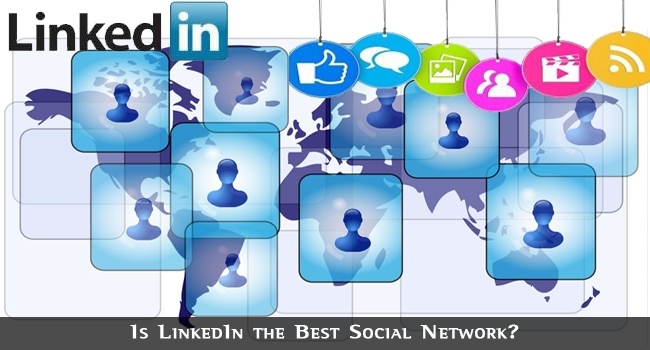 Linked in is a social media networking website like Facebook, Tweeter, Stumble and Reddit . But Linked in we can use in 2 methods. First we share different type of info and 2nd it is a great business website. We can deals our business on it. thanks for sharing such a needed and impressive post about – LinkedIn. you have described all the advantages of LinkedIn and which is really great. Nice summarized information about LinkedIn. A professional network for every professional..!! LinkedIn is a very great site especially for professionals who are seeking jobs as well as promoting your professional profile. But I don’t think it is the best. I was not using this on a regular bases before getting into professional pants. But now it is a bag full of useful information and has helped me get hold of quite useful data. LinkedIn is definitely the most productive and influential. It lets people find work and increase their professional network that lets them grow. I really like that they’ve been able to expand the services offered to users over the years one reason their stock price is still doing well. Linkedin has been an incredibly useful tool for me and my practice. This social network, along with my SEO efforts on my blog have been incredibly helpful for my bottom line. The SEO brings people to my website, which leads them to my LinkedIn profile (as well as my many successful friends) and once they can verify that I’m a legitimate and highly qualified professional, they can feel comfortable doing business with me. 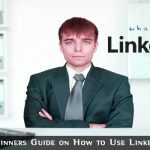 Linkedis is a great social network as well as it is a great for get dofollow social network to get dofollow backlink for the blog. LinkedIn external links are nofollow. Your blog will not get dofollow links from LinkedIn. Linked In is one of the top most usage social networking site, now a days many people are promoting their business as well as they finding the right potential customers to their business….Which lead to helps a lot to getting more conversations to their business from customers.. Thanks for sharing this information with us. I also like this linked in application. It is helpful in keep touching with friends. Linkedin is just fantastic. I am in home decor industry and thousands of professionalists I have met there from which I got lot of money via business deals. Oh yeah, Linkedin is really best for connecting with professionals. Thanks for the lovely post.